Because Vikings are known historically as barbaric warriors, one may not think that their armor was often adorned with symbols and other decorations. With eye catching details, the Nasal Helm with Tail shows that is certainly not the case. This black and bronze painted helmet is crafted from 18 gauge steel and features golden bolts across its surface. Bronze accents depicting Celtic beasts line the bottom edge of this helmet, adding an authentic touch. 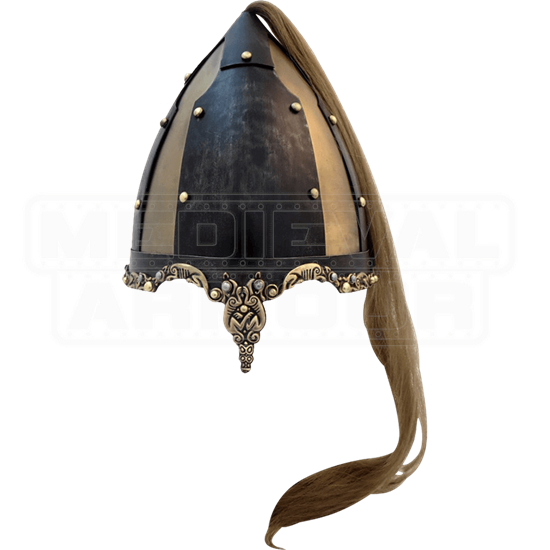 The stand out feature on this helm is the long tail that trails out of the pointed top, making this a unique must have addition to your Viking reenactment ensemble. 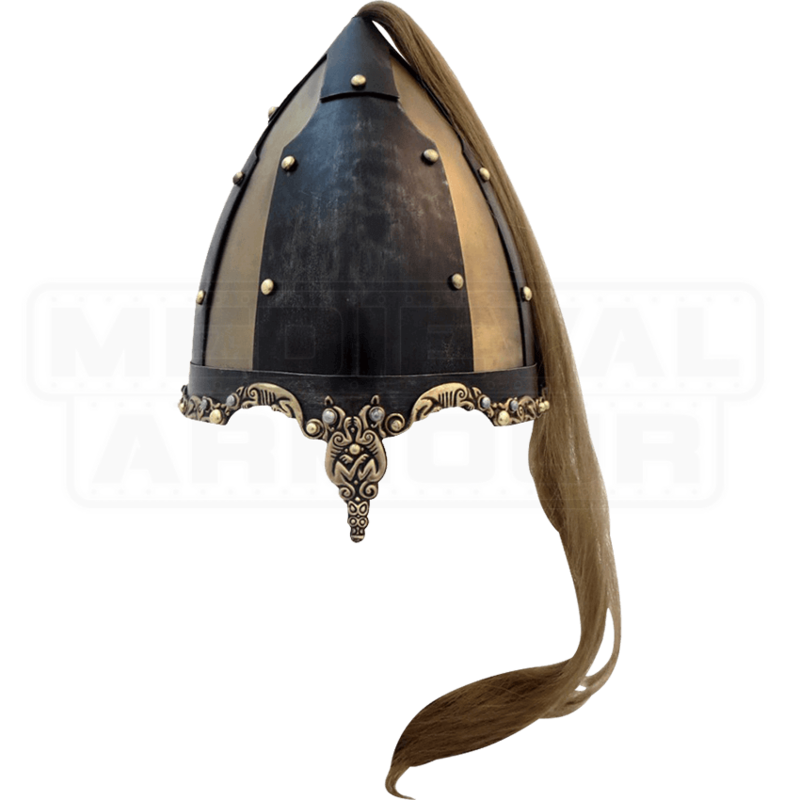 The Nasal Helm with Tail is the Viking helmet that will set you apart as a Norse warrior who is superior to all the rest.